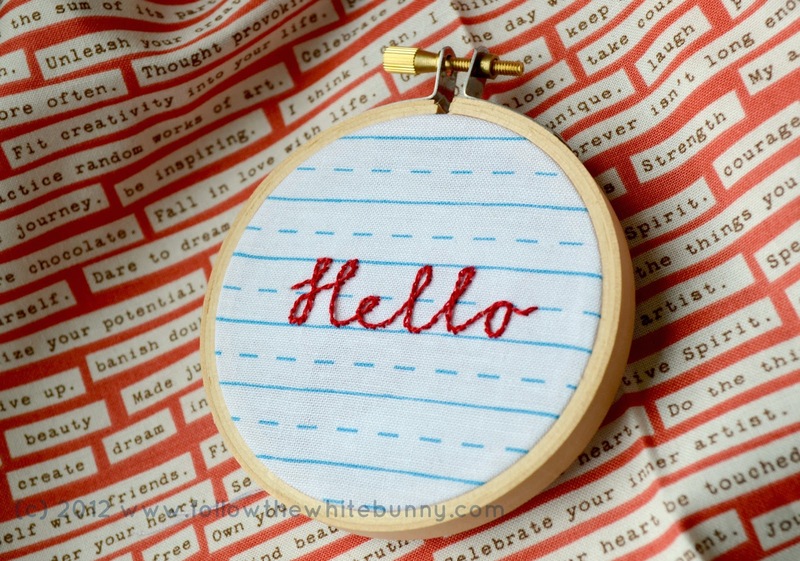 Follow the White Bunny: Hello...new fabric! It's called an X and + block, not an entirely original choice as I found out later. Apparently it's been going round in bees and stitch a longs since it's made it's (re)appearance in a quilt by Setsuko Inagawa on the Tokyo Quilt Festival in 2011. 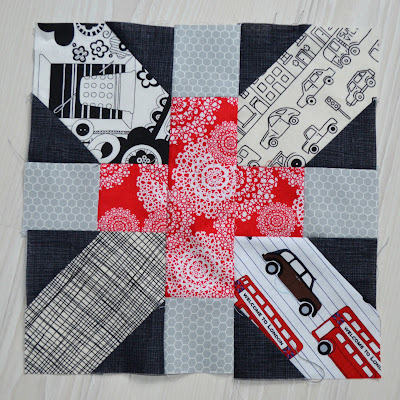 You can find a great tutorial for a smaller sized 7.5" block here. The block I made is 11.75" and is based on measurements found here. 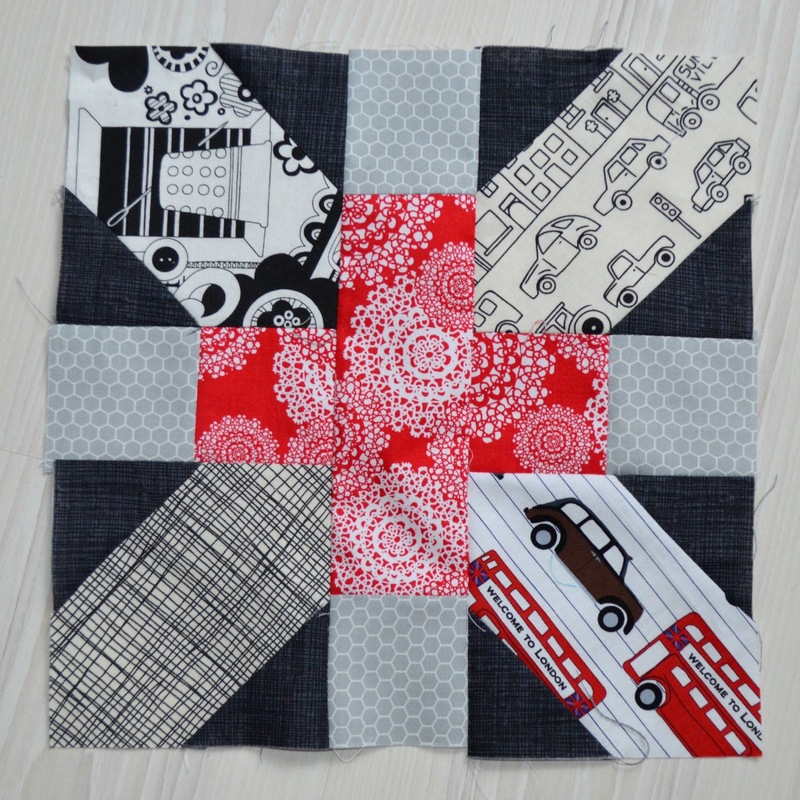 Most blocks will have the colour scheme you see in the example block I made: grey, black white and red with a splash of colour here and there (blue, orange, green etc). Ideally the fabrics would have quite bold, graphic and/or retro prints. 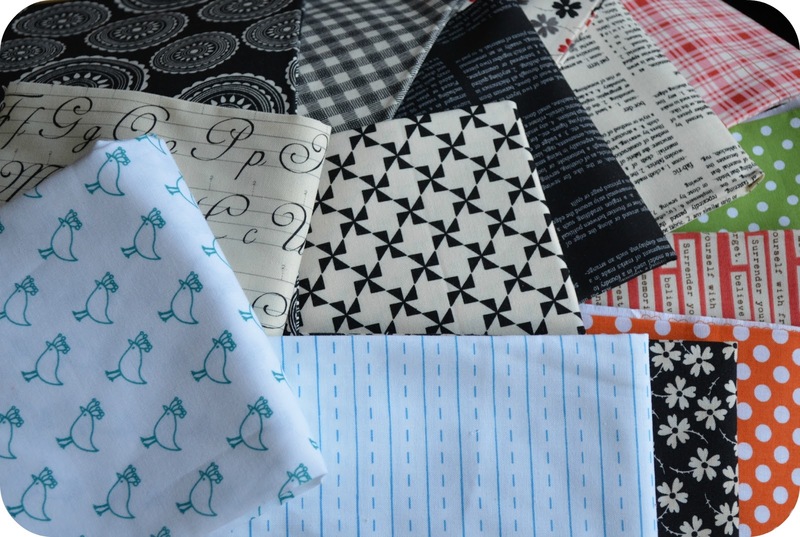 I did have some fabrics in my stash (even some long time stash dwellers like the sewing themed one in the upper left diagonal) that fitted that description but I also purchased some extra to send out to my fellow bees. 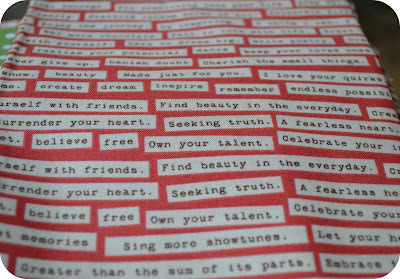 And the fabric with the Writing paper print (Sugar Pixie for Timeless Treasures) is perfect for stitching lettering on! I'm really looking forward to making this one Nicole!! I LOVE that fabric and can't wait for my UK stockists to get it! I also LOVE the x+ block at the mo too! Look forward to seeing how yours finish up...they're going to be awesome! When I started filling my basket in the Sew me a Song shop I initially was under the assumption it was based in the UK as the sellers location said 'Ipswich' but apparently there is an Ipswich in the US too. :) I am very much looking forward to putting all the blocks together early next year. Hope I made the right fabric/colour/pattern choices! Thanks for the Etsy shop link for the different fabrics! 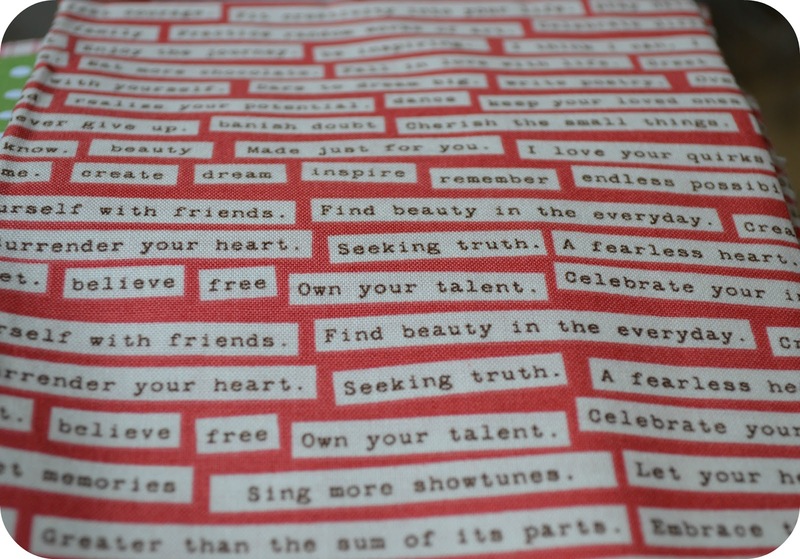 They are all absolutely stunning and I definitely agree- the notebook-lined fabric is awesome for text! Gorgeous fabrics - really looking forward to making your block!